This article first appeared in issue one of Informed, the new client magazine from Informed Choice. One of the benefits of financial planning is its ability to help realise long-held dreams. 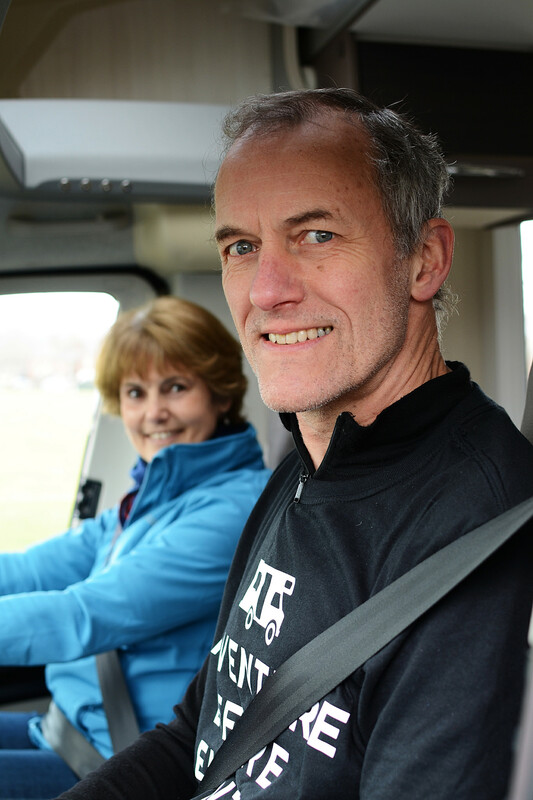 For Peter and Maggie Morgan, the financial planning journey with Informed Choice was the beginning of a bigger journey; twelve months touring Europe in their newly purchased motor home, as a way to mark the start of retirement. 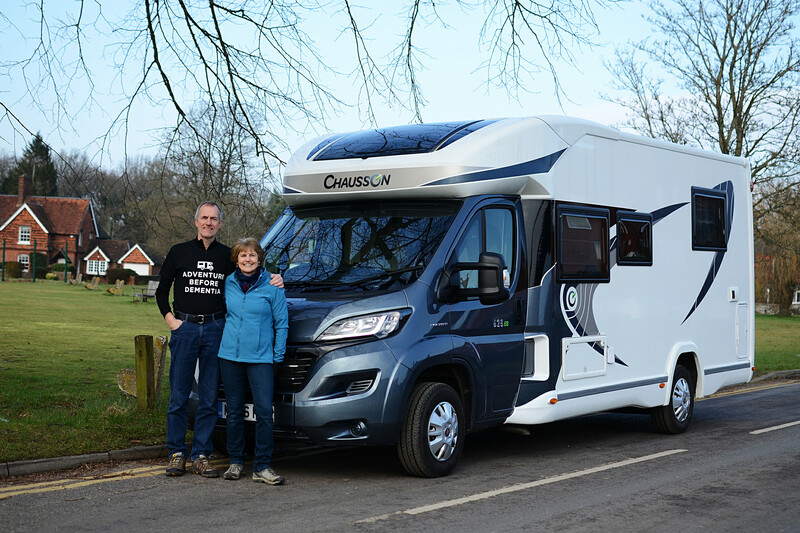 In April, the couple will leave Cranleigh and embark on a year long tour of European countries, starting in Norway and Sweden. Their home for the next year is a fully equipped Chausson motor home, offering the perfect mix of space and functionality. When the Morgans first approached Informed Choice to discuss their retirement goals, a year of touring in Europe was a key objective, whilst ensuring their long-term financial future. 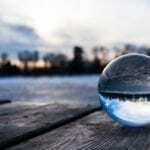 Like so many people approaching retirement, what they lacked was certainty over timing or the confidence to take a leap into the unknown, finishing their careers to embark on the next stage of life. Martin worked with the couple to gather lots of information about their various pension arrangements, investments, assets and income, before constructing a comprehensive financial plan to illustrate various options. The financial planning process uses a series of sensible assumptions about the future, which allowed Peter and Maggie to visualise their income in later life. Most importantly, the financial plan demonstrated that they could afford to retire within the next year, buy the motor home they had always wanted and spend a year on the road to kick start their retirement journey. 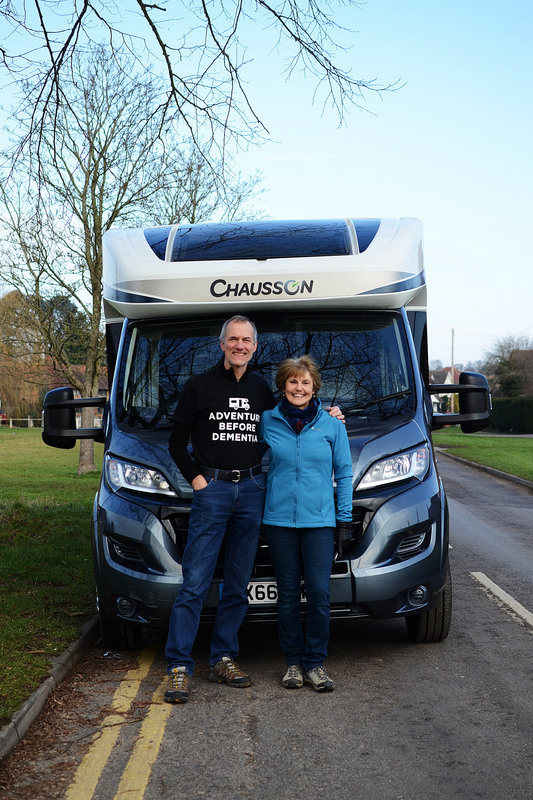 “Before working with Martin and his team at Informed Choice, we knew we wanted to begin our retirement with a grand tour, but like most people approaching retirement, we needed to understand the options and be certain our plans were affordable,” explained Maggie. When all of their financial information was fed into our industry-leading financial planning software, we built a lifetime cash flow forecast for Peter and Maggie which demonstrated, with a high degree of certainty, that they could retire in the near future, confident about their finances in the long-term. Part of the financial planning exercise involved consolidating various pension and investment pots accumulated during a working lifetime, using a modern investment platform to manage these assets and apply a well diversified investment model. Assumptions were made about future expenses, price inflation and investment returns, before Peter and Maggie were shown on the big screen in the Informed Choice meeting room how their future income streams were likely to be sustained. 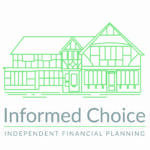 When Peter and Maggie came to see Informed Choice for the first time in August 2014, they were meeting with a number of local IFAs to decide who was best placed to help them meet their financial planning goals. Some of the early considerations included whether to invest in a buy to let property with an inheritance received from Peter’s father, and how to best take advantage of the new pension freedoms being introduced the following April. Martin proposed the construction of a comprehensive and bespoke financial plan, designed to help Peter and Maggie determine the right retirement strategy and how they should invest their money. Part of this exercise would include a lifetime cash flow forecast which would determine at what age they would run out of money. We also agreed to include within our recommendations the most suitable strategy for generating income in retirement from Peter’s various pension assets and an analysis of the couple’s State pension entitlements, with recommendations for buying additional years of pension should this prove attractive. Financial planning is an iterative process and used to consider various options, including disaster scenarios and the impact a death or disability would have on their long-term financial position. By the start of last year, retirement plans were starting to shape up nicely. Peter told his employer he would be retiring in September, and despite being shown in the financial plan they could afford to cut back on working hours ahead of a full retirement, both Peter and Maggie decided to continue working full-time in their fulfilling jobs. Rather than go it alone with a buy to let property investment, they joined forces with their daughter to buy a house in Hampshire, serving the dual purpose of offering financial support to the next generation and creating a regular stream of rental income from the second bedroom. At this point, Martin also introduced them to a local solicitor who updated their wills and put in place lasting powers of attorney. 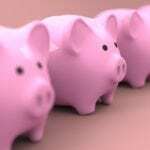 Towards the end of the year, retirement plans were amended slightly. Peter was asked to continue working, albeit on a part-time basis, for a few more months when a colleague went on maternity leave. Maggie joined him working part-time, creating a four-day weekend to help both of them acclimatise to retirement. As their plans continued to evolve, so did their financial plan, with the modelling updated to reflect this period of part-time employment and a new departure date. With a better idea of when the trip around Europe would begin, Martin introduced the Morgans to several local lettings agents who offered their views on generating a rental income from their house for the duration of the trip. 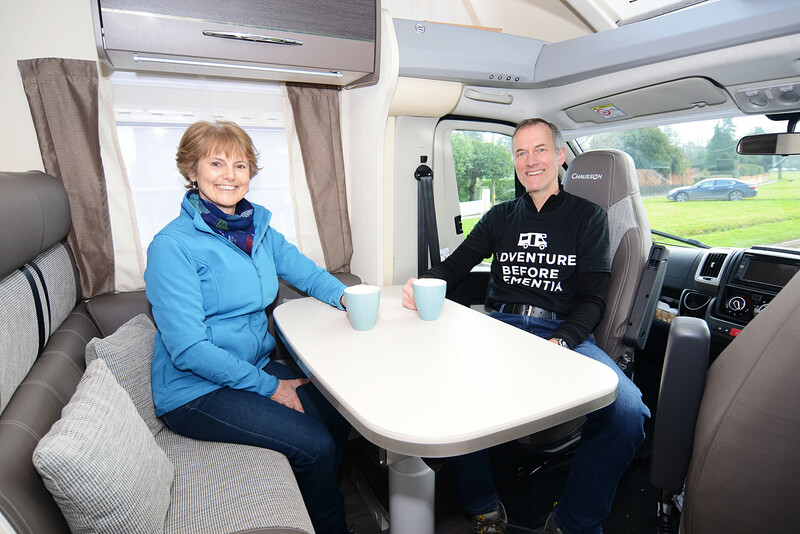 At the start of this year, Peter and Maggie had purchased their motor home and had already been using it for weekends away in the UK, getting used to the experience. With its 23ft length a little too long for the driveway at home, it is stored securely at a local compound during the week. The period of working part-time until full retirement was put to good use, with plenty of jobs around the house, getting the property ready to let. As well as choosing a letting agent to coordinate this effort, they engaged a local handyman who would be on standby during their time out of the country, in case of emergency. The forecasts were updated again, giving peace of mind in the short-term that they would have enough income from Peter’s pension, and rental income from their home and their daughter’s house in Basingstoke, to cover the costs of the trip without dipping into cash reserves. There was also a high degree of confidence about their income needs being met over the long term.